Rebecca Stark lives and works in Cambridge. Her paintings are created using a wide range of mixed media. This includes gouache, graphite, pastel and acrylic. She uses several paper types, which adds to the rich variety of tones and textures. Rebecca works by slicing and layering her images to create both depth and contrast. 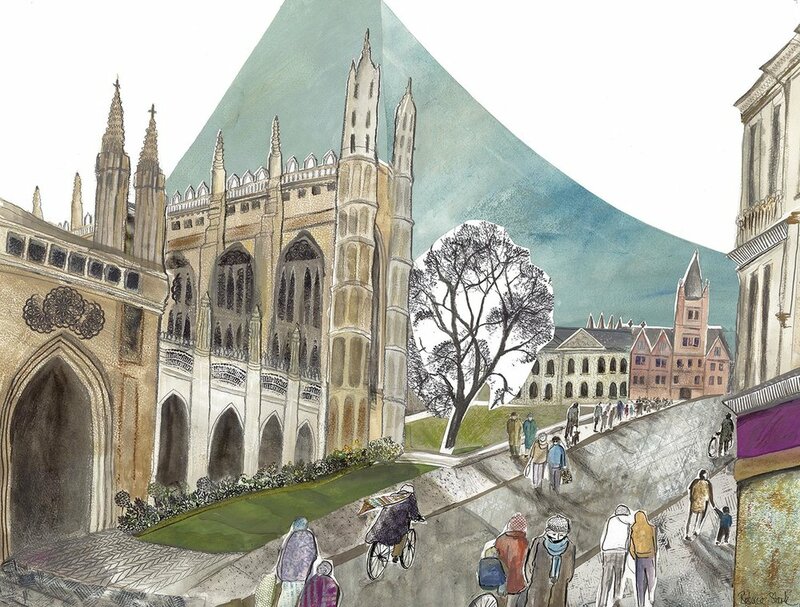 Although many of her images depict Cambridge, they tend not to be of classic views. Instead, hidden corners and less familiar scenes feature in her arresting and distinctive paintings.